Glossybox is a deluxe beauty sampling program, operating in more than a dozen countries worldwide. 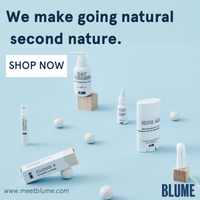 They consider themselves the "leading purveyor of luxury beauty samples on a global stage". Glossybox US started shipping to Canada in November 2014. Products in your Glossybox are selected based on your beauty profile, age, location, and sign-up date. Glossybox has some of the best packaging in the business, but the contents always come off centre like this. How the heck does that happen? 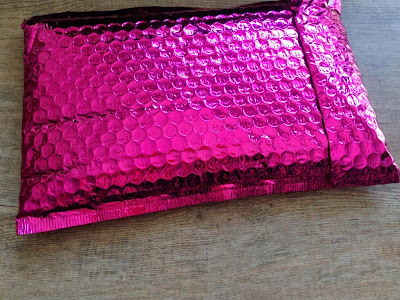 Ipsy is a San Francisco based beauty subscription that sends a beautiful Glam Bag filled with with deluxe samples and full-sized beauty products. Once you've received your Glam Bag, you can head over to the Ipsy Community to watch tutorial videos and play along with the Ipsy stylists, using the same products they are using. The theme for May is Jet Setter. Buckle up, buttercup. We'll bring the beauty essentials, and you bring the flair. Celeb status or not, we're flying first class to fabulous, and the sky's the limit. Jetlag is for amateurs. The pouch this month is a special edition mini makeup clutch by Breakups to Makeup. There were three versions available. You can see them all here. A full-size Breakups to Makeup clutch goes for $35, but Ipsters can save 20% using code IPSY20 at checkout. How Much? $34 per month, including shipping (US$). Save on 3, 6, and 12 month terms. Bespoke Post is a lifestyle subscription box for men. Each month, Bespoke Post sends a new "Box of Awesome" - a box filled with a limited edition collection of products built around a specific theme. To complement the box, Bespoke posts how-to-videos, tips & tricks, and interviews with the makers. Their goal is to introduce men to something new. Many of the boxes could appeal to women as well, which is why I subscribe! There were a few boxes available for April. I selected "Charred", a barbecue themed box. The warm weather has been gracing the shores of Vancouver for a couple weeks now, so I'm declaring it officially BBQ season! ** This company is no longer in business ** What is it? PawPak How Much? $34.95/month + tax. Save on 3, 6, & 12 month plans. Shipping included. PawPak is a Canadian subscription service for dogs. When you sign up, your furry friend will receive a box of toys, treats, and other goodies every month. PawPak is a family owned company, run by dog lovers. They are proud to be Canadian and in every box PawPak makes a point of including Canadian made products from Canadian companies. I didn't take a picture of the product card this time, but the April box was all about Earth Day. All the products came tucked into this re-usable cotton tote. I try to use re-useable bags whenever I can, and this one has already been put to work. This really is a mega bone! Darford is based in Vernon, BC. How Much? $29 per month, plus $5 shipping. Save big on 3, 6, and 12 month pre-paid subscriptions (US$). BarkBox is the original subscription box for dogs. I first subscribed to BarkBox in June 2013 and was very happy with the two boxes I received. BarkBox sends a monthly box of carefully selected products for your dog. Products may include toys, bones & all-natural treats, hygiene products, or innovative new gadgets. BarkBox also has a BarkShop so you can order more of your favourite products at a great rate. What's in it? 4+ teas from around the world. Approximately 1/2 ounce of each variety. Simple Loose Leaf is a tea subscription service that sends 4-5 pouches of tea each month from around the world. Each pouch contains approximately half an ounce of tea, and is enough for a full pot or several single serve cups. Upon subscribing, you also get a member ID code that allows you to get 50% off all teas ordered from the Simple Loose Leaf shop. 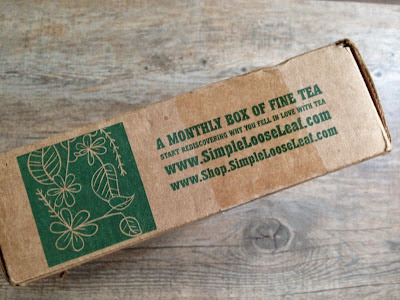 I first reviewed Simple Loose Leaf in July 2014. Since then, Simple Loose Leaf has re-designed their website and changed the subscription model to make it more affordable. Each box includes two re-usable muslin tea bags. I prefer paper tea bags because I'm not really keen on rinsing out my tea bag after each use, but I appreciate the thought.